Being among the first to sail on Disney’s newest, state-of-the-art luxury cruise ship, the Dream, is an amazing opportunity. But Disney has found a way to make the experience even more memorable – and magical – for its first guests! 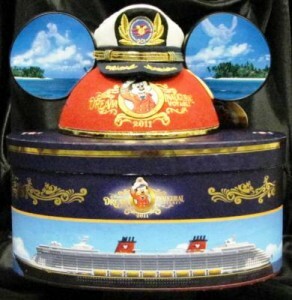 For the maiden voyage of the Disney Dream, Disney Cruise Line has created a line of collectible keepsakes to commemorate this special occasion. Created by noted artists, the line includes everything from special pins, sculptures, and coins, to Vinylmation and an extraordinary pair of Disney Dream Ears! Guests interested in purchasing items from the collection will participate in a Random Selection Process (RSP.) The RSP is a computer-generated process matching guests who are interested in purchasing an item with the number of items available. To learn more about the process, and to see all of the available items, please visit http://www.disneyurl.com/MaidenVoyage. To submit a RSP, you must be a registered guest of the Dream’s maiden voyage.